CRUISIN AUTOMOTIVE are the only authorised W.A. dealer that supplies and installs E-Stopp Australia. We ship Australia wide and are guaranteed the cheapest. CRUISIN AUTOMOTIVE is the most experienced Hot Rod & Muscle Car business in W.A. We have been associated with hot rodding for 40 years and have built and owned many award winning cars. 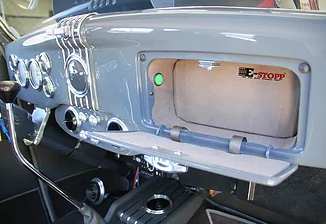 E-Stopp is a push-button electric emergency brake that not only frees up room on the chassis and in the cab; it also doubles as an anti-theft device when the button is hidden. It works with any kind of brake system that can accept an e-brake cable and can mount anywhere on the chassis that you have room. Micro-Computer Controlled: The system is controlled by a microcomputer that regulates the amount of pull. The E-Stopp will only pull up to 600 pounds before it locks down on itself. The button has a detachable head for easy install and features both visual and audible recognition. Also included is a patented ignition safety feature that renders the brake inoperable while the ignition is on. 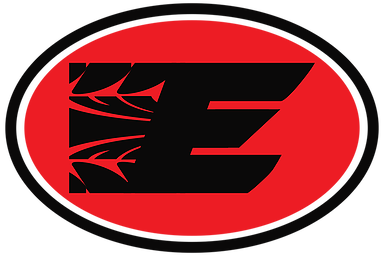 Anti-Theft: The E-Stopp can be used as a theft deterrent by either hiding the button under the dash or in the glove compartment or by installing a kill switch. Basically, if someone doesn’t know how to unlock your rear end, they will have a difficult time stealing your vehicle.